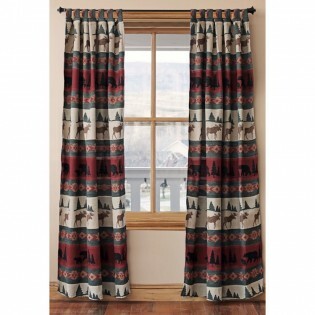 Our Takoma rod pocket drapes give a rustic nod to the mighty Mt. Rainier. 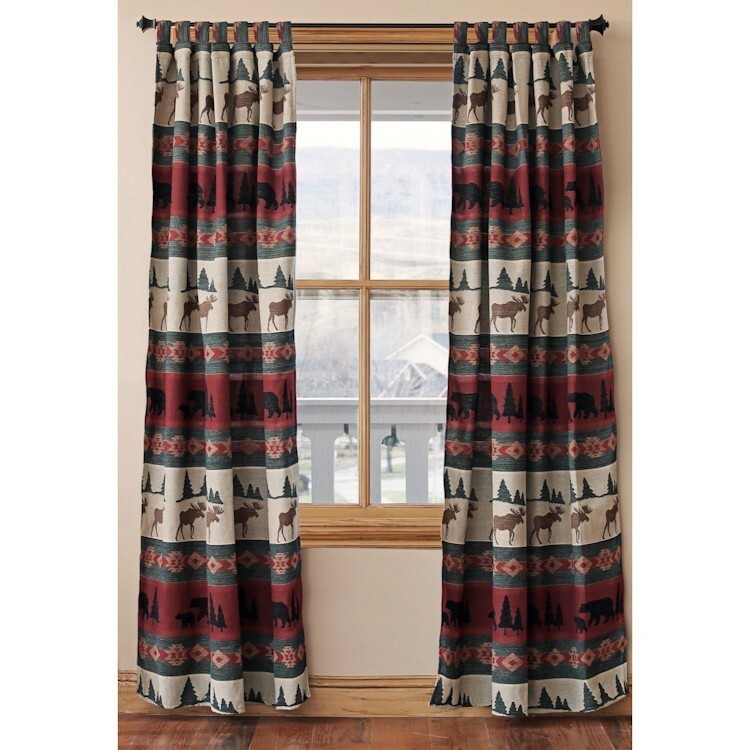 Stripes of warm, volcanic burgundy, glacial off white, and rich, forest green are a beautiful backdrop for bear, moose, and treesâ€”all accented with a Native American pattern worthy of the Snoqualmie and Puyallup.